Residential — pico ARCHITECTURE inc.
After a fire destroyed its largest student residence, Providence University College engaged pico ARCHITECURE in partnership with Grant Design Group to design a new multi-functional co-ed dormitory. The new Living and Learning Centre provides space to sleep, socialize, study and dine, creating a new hub of activity on Providence’s campus. Working with the Providence steering committee, the design team toured a number of student residences on campuses in Canada and the United States to identify the type of community Providence wanted the residence to foster. The design team identified a ‘pod’ concept approach, organizing double and single occupancy rooms around smaller lounges and a resident advisor room to maximize building efficiency and promote interaction and community among students. The three-storey building locates these residential pod communities on the upper floors and dedicates the ground floor to amenities for both residents and the greater University community. The ground floor includes lounges and dining space, study spaces, a classroom and multi-use areas. Importantly, students will also benefit from two faculty family apartments which will allow for informal interactions, supporting the intimate learning environment at Providence. 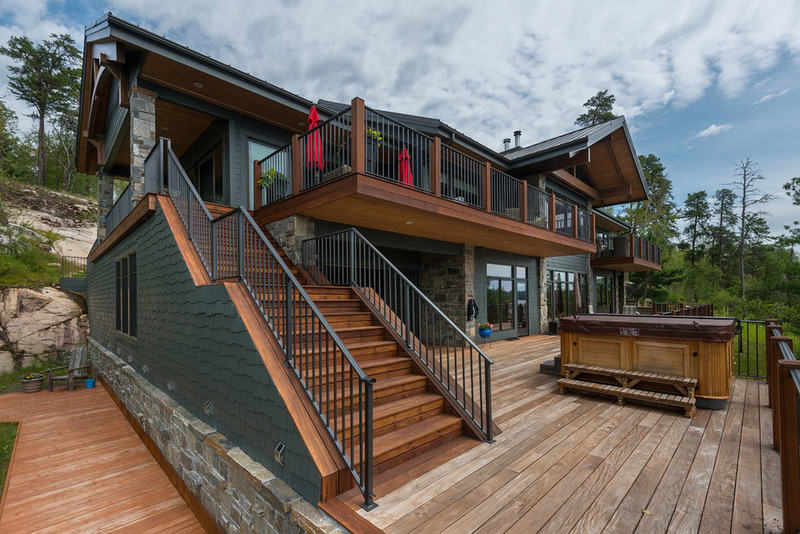 This cottage was developed for a family on a lake in the Canadian Shield. The cottage faces due south and has generous overhangs to shade the interiors during the hot summers. 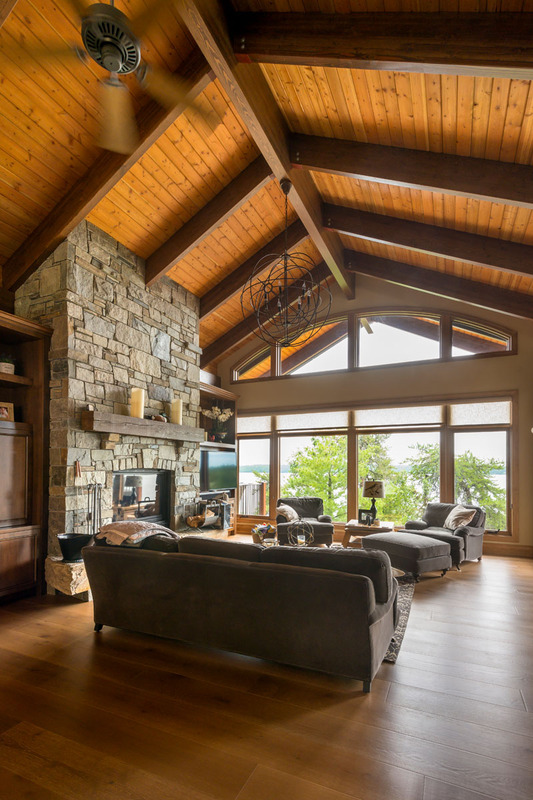 The stone from a nearby quarry was used in the construction of the fireplaces and as many materials as possible were sourced regionally, including the glue laminated structural elements, the windows, and roof decking. 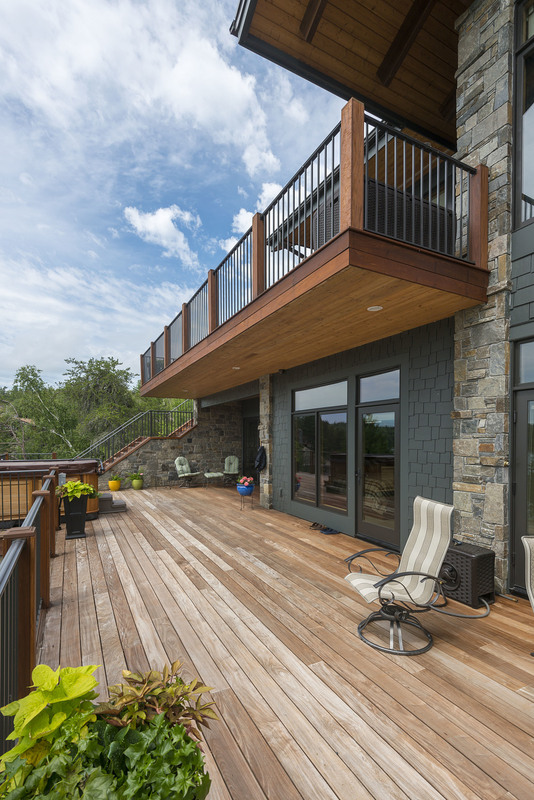 The cottage features lake-source heat pumps for heating and cooling.